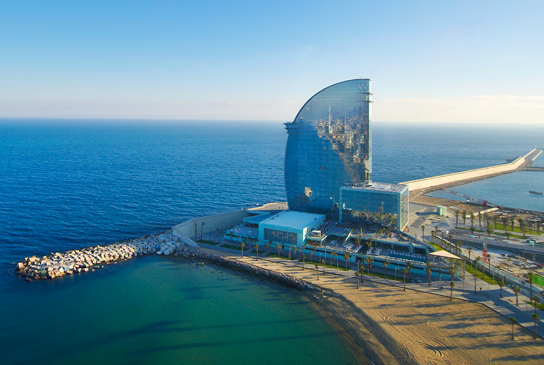 Barcelona, Spain is more than beautiful people and pristine beaches, it is a place of extravagant nightlife and dance music wonderment. Selling-out for its 3rd consecutive year, AbroadFest is known by American college students studying abroad as a go-to party weekend while away from home. March 5-7 some of the hottest clubs in Barcelona will host Madeon, Borgeous, Cedric Gervais, Dzeko & Torres, AlunaGeorge, and more for our biggest line-up to date. The party kicks off at one of Barcelona’s premiere nightclubs Razzmatazz (Career Almogàvers, 122) with Dzeko & Torres on the 1’s and 2’s. The headliner of the night is one of the most popular and well-regarded names in EDM production, Madeon. This will be one of Madeon’s first shows presenting songs off his forthcoming debut album out on March 31, Adventure. Night two continues onto Under Club (Calle de Tarragona 141) with “Invincible” famous Borgeous. Attendees are also invited for cocktails on the terrace from 6pm-8pm at Danzatoria (Ramón Trias Fargas, 2) to start off the night. Day three begins with a Day Rage Party from 4-8:30pm at beach club Shoko (Passeig Marítim Barceloneta, 36) with electronic music duo AlunaGeorge. AbroadFest closing party ends the festival with Grammy award winner Cedric Gervais. Need a place to stay? The W has made 35 rooms at their beachfront hotel available at a very special price for ABROADFEST attendees. Book your room at The W by Starwood now before rooms fill up. Check out last year’s after movie to get an understanding of why partying in Barcelona should be on your bucket list.